Vendors are a crucial element to your wedding day. 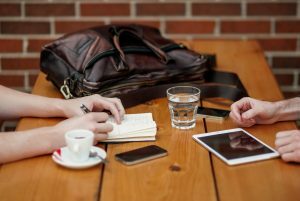 Picking the right vendor can be a lot of pressure on an engaged couple as choosing one that is unqualified or unprofessional could have a detrimental outcome on your experience. Vendors include but are not limited to Ceremony and Reception Venues, Wedding Photographers, Videographers, Bridal Salons, DJ’s and Bands, Florist, Caterers, Wedding Bakers, Wedding Planners and Coordinators, Invitations and Paper Goods, Calligraphers, Officiants, Transportation, and Hotel Room Blocks. I received noteworthy advice during my wedding planning as well as some I learned along the way that I feel is important for any bride and groom during this stage. Always have a written contract with vendors. Communicate expectations with your wedding vendor. Get a wedding insurance policy. Pick the right vendors through research, reviews, and references. Meet the vendor in person. I encourage everyone to listen to the entire podcast and also check out Christie Asselin’s website which is full of excellent tips and strategies. These points Asselin picks out are necessary to ensure you are getting the best of the best and protecting yourself in the process. 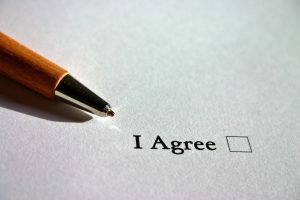 Wedding contracts are a must with vendors, even the ones you know personally. In a case of an emergency, you have a set of guidelines to help you understand the ramifications of say, your florist backing out at the last minute. Contracts breakdown cancellation policies, delivery of services, payment requirements, and outlines expectations for both parties. 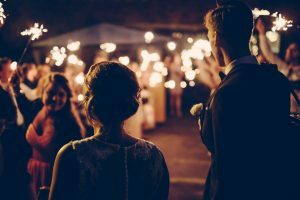 Wedding insurance policies may seem unnecessary but unexpected issues arise all the time many of which you couldn’t have predicted. Wedding insurance can help with peace of mind. Many venues, like the one my husband Bernard and I got married at required we get wedding insurance to utilize the site. There are so many websites where you can look up reviews for vendors, WeddingWire, The Knot, and Yelp just to name a few. Also, talking with other brides is a great resource because you can get a more in-depth review of the vendor’s work. I remember right after we booked our caterer we were at a holiday Christmas party where a newlywed couple had used the same venue and caterer and raved about how awesome they both were. I felt even more confident about our decision after that. Meet the vendor in person is also important because you can get an idea of how that person will be the day of, it will also help to put a face to the person you’ve been corresponding with via email. I felt meeting our wedding photographer in person was imperative as Bernard, my father, and brother were all not fans of having their picture taken. I felt that I needed to make sure our photographer would be able to make the men feel more comfortable and less awkward with the situation. Which she did, and she was fabulous. Aside from these tips, Asselin provides above; there is one critical part I would like to stress to engaged couples picking their vendors that I found to be the key to my success when planning which is ask questions. Many brides fear being labeled a bridezilla if they ask too many questions. However, for you to know the services you will be getting and whether the vendor will work out asking as many questions as you can to bring the day into focus is needed to have wedding day success. Remember the vendors are interviewing for a position to work for your wedding. It is important to know if you will be the priority or if the vendor will be responsible for multiple celebrations that day which could potentially cause delays or issues. Valet parking may be required for your site. It is important to know this upfront as it is typically an additional cost. Knowing if you must have valet parking is also critical for timing purposes. You may need to be prepared for guest delays as valet parking can sometimes get backed up. It amazes me how many engaged couples do not determine a backup plan in case of bad weather. Weather can be the most unpredictable factor on a wedding day, knowing what the plan is and feeling comfortable with that plan can relieve a lot of stress when looking at looming forecasts. Some couples do not think to ask this question, but certain sites have restrictions if the venue is older and has delicate features. Also, a place with bad acoustics could affect how sound carries and could be detrimental to your night. Many wedding sites have a preferred vendor list of businesses and people they’ve used before. A set list can be helpful if you need to narrow down the multitude of vendors, plus they are a trusted source. However, it is important to note that if you want to bring in someone not on the list, many venues charge extra. Weddings are full of hidden fees for odd things, so make sure you ask about specific additional charges you may not be aware of upfront, so you don’t end up having to pay more later. One place we looked at was an old library filled with antique books, and they had a rule that no red wine could be served in the case of spills. Some sites also have restrictions on candles, throwing rice, and hanging things on the walls – so know beforehand what you can and can’t do. It’s nice to know this information, so you know what to expect the day of your wedding. You would be disappointed if at the tasting you received a full plate of food, but on your wedding day, it was smaller portions. I asked this questions to my day of wedding coordinator, and that was it, and I wish I would have asked it to every single vendor. A week before our wedding I received a call from our DJ who was not the person we initially met with, which caused a lot of unnecessary stress I could have avoided. There are so many websites that outline plenty of questions to ask specifically to each vendor. Print them out and take them with you and write in the responses as you go. The more you know beforehand, the less chance of surprises later. This entry was posted in Brides and tagged bridal salons, brides, calligraphers, ceremony, grooms, hotel room blocks, invitations, love, Marriage, matrimony, officiants, reception, transportation, venues, videographers, wedding, wedding coordinators, wedding photographers, wedding planners, wedding vendors.